Selecting a violin bow is no easy task. In fact, some might say that it is more difficult than picking a violin – one does not typically listen to a bow itself, but to its effects. 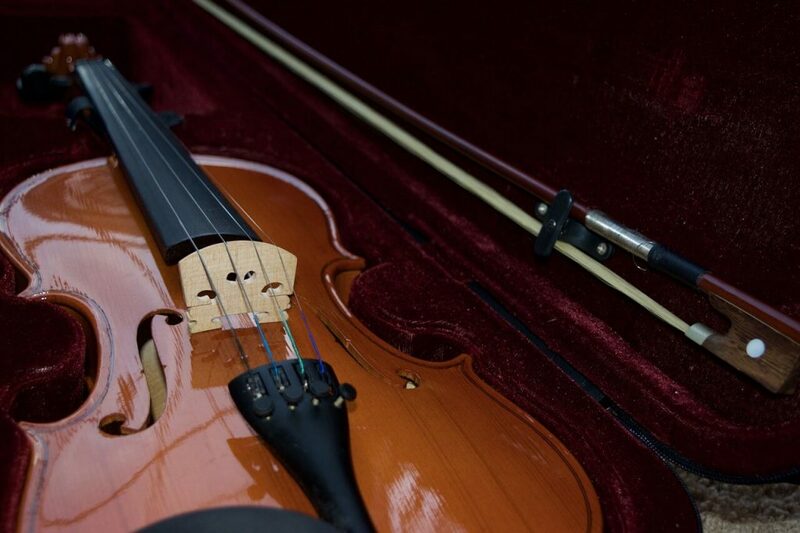 The cons of a violin can be determined using multiple senses – sight, hearing, touch, and even smell – while those of a bow can be detected using only two or three of them. These senses can easily be fooled, though; a shiny, sturdy, and firm bow might appear as beautiful, and might persuade a customer to purchase, but the stick might not be apt for conjuring a full and wholesome sound, and could even bend erroneously under slight pressure. Sometimes, one simply must be aware of trusted brands, and search specifically for items by those companies, rather than sniff out a piece of equipment for oneself. There are, however, a few things that can be used to know, for certain, whether a bow is of good quality or not. First, that all the normal pieces are in place should be ensured. Typical bows are made of brazil wood or carbon fiber – a shop owner or description should tell the material that whatever bow you’re looking into is of. Another primary element of the item is horsehair, which should be strewn from the tip of the bow to the bottom (or the frog). Usually, the color of this stuff is grainy-beige, but it may vary between bows. If there appear to be any oil marks on the hair, the bow should be avoided. Oil and other substances, which can come from greasy hands, wafting chemicals, and lingering liquid, reduces the amount of potential friction in a bow, causing the thing to be less-effective and to produce an unclear, flimsy tone. A list of other essential parts of a bow include the nut, which is screwed into the bottom of the bow. A beneficial act, perhaps, is to remove this component from the bow to check for any damaged or chipped metal in the utility. The adjustment of this part is essential to the strong sound of the violin. A tight bow makes the difference between a sloppy performance and a brilliant concert, even for expert professionals. The frog should be fixed at the bottom of and underneath the stick, where it holds the horsehair in place. This is also an essential tool for the tightening and maintenance of the horsehair, and is one of the most important features of a bow, as it, sort of, keeps the whole thing together. The tip of the bow should be full, without tarnish – watching for this is necessary, as it breaks easily. The coloration of the stick and hair should be consistent with themselves, and the grooves and structure of the bow should feel smooth and apt for carrying. Another aspect of the bow to look into is its shape. A violin bow should be horizontally straight throughout – no linear curvature should be present in the right- or left- directions. Though a slight bend should exist in the vertical direction (so as to create a “shock absorbency” and to allow for various shaping throughout the bow), one in the horizontal plane would mean awkwardness in playing, and would force the user to compromise his or her practice and performance. To ensure that the bow’s alignment is proper, one can look directly above the bottom part of the nut, at the bottom of the bow, with, say, one eye. One should be able to see the top of the stick from this position. As was said, a curve in the vertical direction is okay – the bow should appear to dip downwards and back up. If a left or right bend is seen, though, the bow is malformed, and the idea of purchase should be carefully considered, if not cast aside. To prove that a bend in these directions is not ideal, one can stroke the bow across the string – almost certainly, there will be trouble in keeping the bow in a straight path, and full and complete bow distance will be hard to attain. Bow curvature is a subtle problem that many beginners or first-time-buyers do not pay heed to; customers often reduce their own purchase power without this knowledge. There are probably several other elements of a bow that can be examined for full functionality and goodness (wood quality, durability, etc.). However, one might find it easiest to look up recommendations and reviews, or to ask an educated violinist about her experiences and for advice. This article can inform about the best equipment in the bow-making industry, and offers a wide range of great possibilities, for both beginners and trained learners. Prices will vary. Yamaha is acclaimed for its guitars, keyboards, and motorcycles, and no differently for its violin bows. This particular bow is sturdy, streamlined, and strong, and can withstand the tremors of any strings, no matter the hardness. Being made from carbon fiber, it is incredibly durable, and its material is difficult to break. It has an organic touch that makes switching from a normal bow to it a swift and easy transition. It is excellent for both practiced and learning violinists. The Yamaha CBB101 has all the regular parts of a bow suitable for orchestra, and works well in any concert setting, be it with an ensemble or soloist. 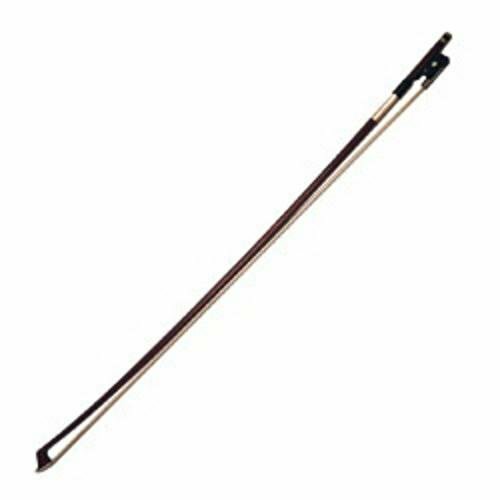 As a carbon fiber bow, it is an incredibly resistant piece of equipment, and can endure a bit (just a bit!) of beating. Pernambuco is a renowned bow company that makes style, functionality, and artistic quality its primary goals. With classical looks and modern designs, the brand’s bows are super-efficient, and can be used in a professional setting by long-trained musicians and budding novices alike. The English bow, in particular, is super capable, and maintains an appearance that is both fabulous and subtle. The wood of this bow is unique: it is Pernambuco English Frog, and its red hue makes it stand out amongst others. A “lizard” grip, made of coarse leather, is attached to the bow where an index finger would normally go. Pearl inlay decorates the nut and frog, giving the equipment a glimmering, shiny appearance. Mongolian horsehair allows this bow to conjure a sound that is uniquely warm, and gives it an extra, charming element. The playability of the bow is smooth and “kind”, and is presentable to any listener or beginning player. A teacher will be pleased to see a student use this item, as it is known for its clarity and body. 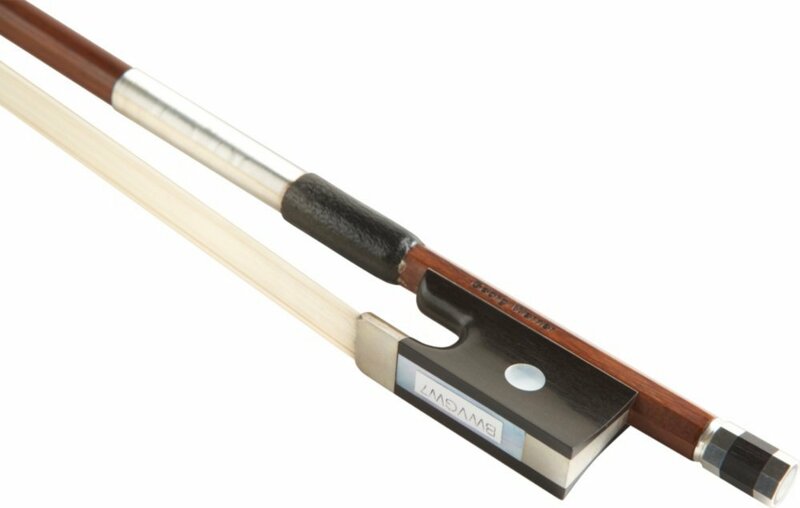 Overall, the Pernambuco English violin bow is a fantastic piece of equipment, both for experts and collegiate students. Even beginners can use the item, and a high school musician should have no problem finding his own sound with it. The name attached to the item is well-known, as the brand is popular amongst musicians. The appearance of this bow is awesome, and many well-informed artist will say that the thing looks marvelous on-stage. With five-star reviews in many online sites, the Presto Encore is a fancy and enduring item that can withstand most tough playing and can stroke the quickest patterns around. The company’s name is nearly untarnished, and it holds itself high as the manufacturers continue to produce wonderful equipment. The Presto Encore is surprisingly straight, and its streamlined element pronounces agility and exclaims full playability. The bow’s carbon cloth makes it resistant to adverse weather conditions, and holds the bow up as a solid and enduring device that can last for years. The bow’s weight makes it great for playing passages from pieces like Shostakovich and Beethoven’s quartets, and makes playing Stravinsky compositions, among other contemporary works, an exciting experience. One shouldn’t be fooled by the bow’s fine lining and pleasant design – the equipment “goes hard”, and enables passionate singing. Though the Presto Encore is super-durable and strong, as well as agile, smooth, and clean, its coloration is almost non-existent, as its body is almost completely black and white. However, a good player should hardly find this a problem, as, after all, it is the music that should be the medium of most vitality during a musical performance. The George Werner brand of bows is known for its authentic German origin, as well as for its method of craftsmanship. All its bows are made in a workshop whose method has been fine-tuned for generations, and whose products are reliably excellent. Artistic skill and time-taught workmanship has shaped the George Werner company to be an important component to the upholding of bow-making standards. The Pernambuco Master round violin bow, in particular, is an archetypal bow whose sonic productions are as clear as day, and whose overall tone is warm and as bright as a summer’s high noon. Its wooden path is linear, and will provide any violinist with a comfortable method of going from the frog to the tip. The wood of the bow is Pernambuco; as such, it is enduring and streamlined, and produces a quality that can be likened to the finest cloths of India – beautiful, luscious, and full. The Georg Werner Pernambuco bow is one whose endurance is awesome, for a wooden bow, and whose straight build is unparalleled by a bow of its price. Its coloration is nice and brown, and it maintains a great deal of humility because of its tone. Silver linings and inlay make the bow a pretty thing to behold, though the piece of equipment does not stand out, optically, amongst others. This bow is a great utility for any beginner in need of a durable piece of equipment as well as a tool of quality sound. For a great price, the bow, after purchase, can last for years to come, and can maintain a high degree of strength and beauty. As an item whose longevity is almost certain, even in the midst of children, the bow is a wonderful tool for beginners and advancing students alike. The time required for the search of a good violin bow, though much, is worth spending, as it can lead to excellent results for violinists and accompanying musicians. The bow is one of the main components of a violin outfit; as such, it must be carefully sought out and chosen. What good is a sketchbook without a proper drawing device?